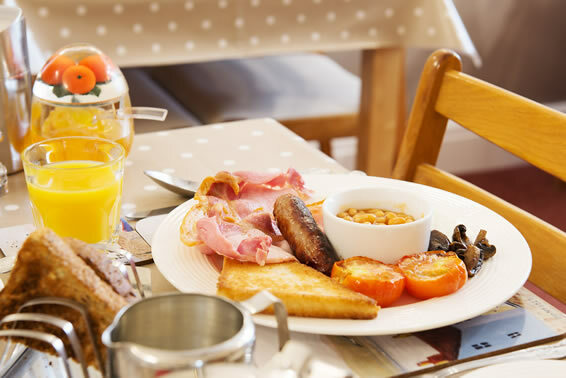 Our Renowned Breakfast is Served Between 8.00 & 9.00am in Our Cosy Dining Room Which Caters for Individuals, Couples or Family Groups. We can cater for Gluten and Wheat intolerance, Dairy Free, Diabetics and Vegetarians. Please advise us of your requirements at the time of booking. Start with Orange or Apple Juice. A variety of flavoured Yoghurts. Locally sourced West Country produce. Selection of Teas (including herbal) and Coffees or hot Chocolate. As an alternative why not try our wonderfully creamy, homemade Porridge. For the fish lovers we even have Kippers. Why not have Boiled Eggs and Soldiers or any other LiteBite you fancy. 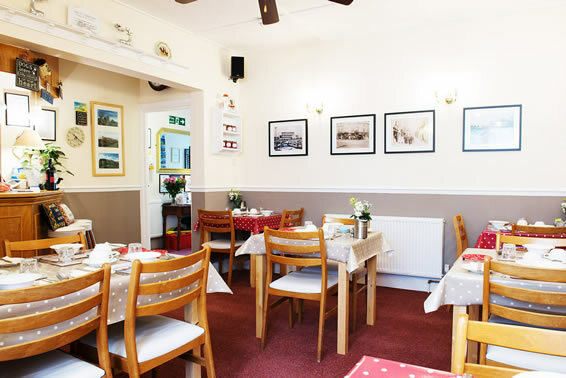 We can also serve Cheese, Ham and Hard Boiled Eggs for the continental breakfast.